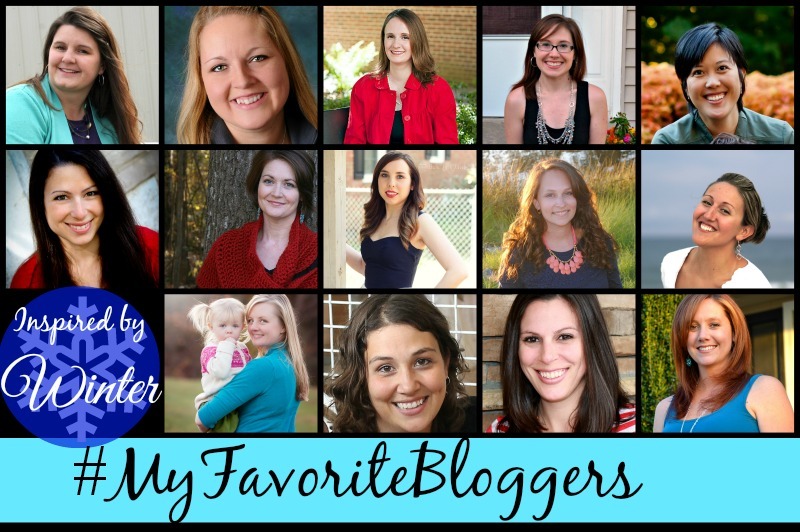 It’s #MyFavoriteBlogger theme post time! As usual, here’s the dilly…o. (Do people still say that, or did I just date myself badly?) I’ll show off my WINTER creation, and then you get to head over to see all the other winter themed projects crafted by my favorite ladies! I’m pretty pleased with this month’s project, so I hope you like it too! 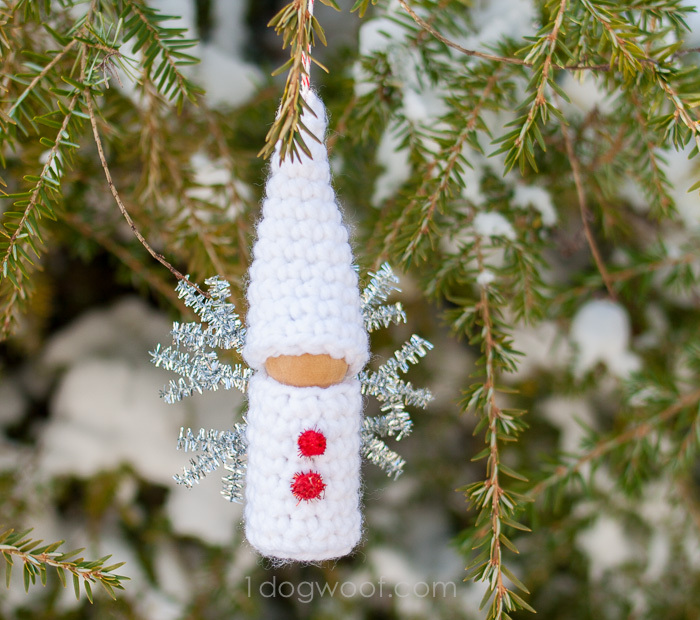 I really didn’t know what to call it, so I called it everything – my “Winter Fairy Crochet Gnome Cork Peg Doll Ornament” – you’ll see why as you go through the tutorial; every word means a little something here. I’ve been a bit fascinated by peg dolls in general. They’re ridiculously cute and the possibilities for characters are endless. I didn’t have Barbie brand dolls growing up, but I did have similar dolls that I loved dressing up, and these peg dolls seem like a great way to play with dolls all over again. Up until now, I haven’t ever made any of my own because I couldn’t find peg dolls at the craft store. Granted, I didn’t look very hard. 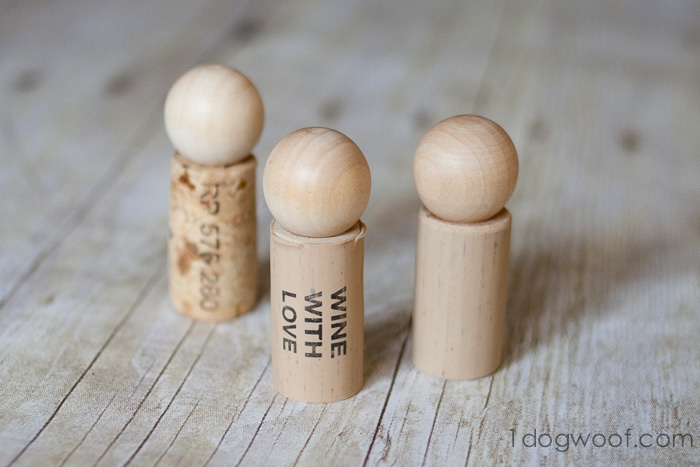 So, imagine the exploding lightbulb in my head when I realized I could make my own peg dolls….out of wine corks! Yup, more reason to drink wine! Wine? Dress-up? It’s like my own little ladies’ night over here! Better still, this is a great use for those un-corks. You know, the little plastic corks you find in inexpensive wine bottles these days that aren’t really from cork trees and have no character to them whatsoever. Un-corks. Bland, perfectly shaped, perfect for peg dolls. I bought a pack of dolls’ heads from the craft store and glued them to the wine corks. I imagine if you’re going to put hats on your little fellas, wooden beads will work fine too. One note though – because the corks are plastic, use glue made for non-porous material, like super glue. Super-duper easy, and ingenious, thank you very much! Now you have a bunch of naked peg dolls. Time to gnome them up! 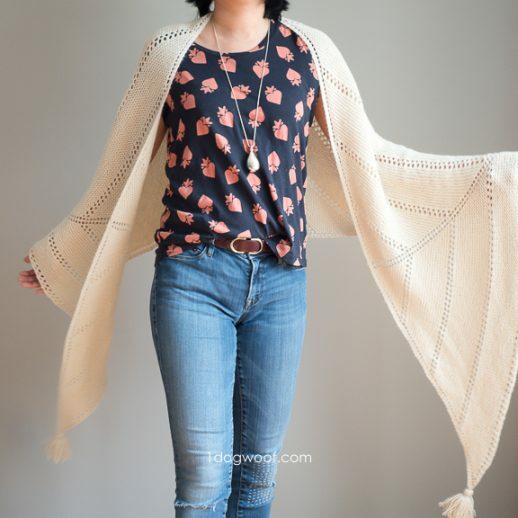 Use scraps of worsted weight yarn and a G size hook. Each outfit only takes a few minutes to whip up. Worsted weight yarn, scraps are enough. Slip the piece onto the cork from the bottom up. The hat is made to be slightly lopsided. Glue the hat onto the wood head with the seam/last stitch in the back. Cut a piece of felt for the scarf, and then add some fairy wings. I tried cutting a snowflake with my new Silhouette (yeah! first project on the Silhouette! ), but it was out of cardstock, and that definitely wouldn’t last very long in grubby toddler hands. The white gnome has sparkly snowflake wings made from pipe cleaners, which works, but it didn’t blow me away. Luckily, I went to Target and found some felt snowflake stickers for $1 (score!) in their impulse Christmas buys section. 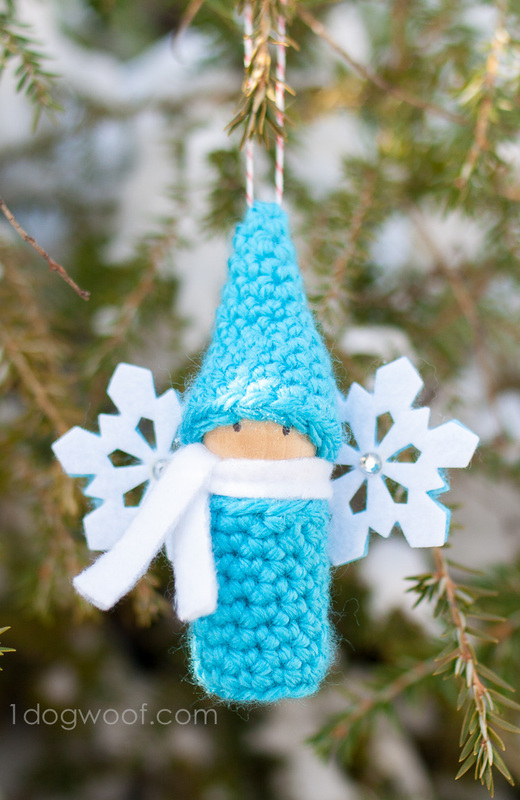 I took a white snowflake and glued it to a blue snowflake and glued it to the back of the gnome. With super glue. Because I don’t bother with the weak stuff anymore. Foam snowflakes would probably work too! I came home from Target, pulled into my driveway, turned off the car, took a deep breath, looked to my left, and saw that my normally unruly hedges were burdened down with snow and was extraordinarily beautiful. They also looked like the perfect place to take some well-lit photos of a winter gnome! 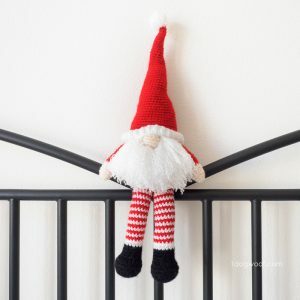 Thread some yarn or baker’s twine or string through the top of your gnome’s hat and hang it on a tree or any old branch. And you’re done! 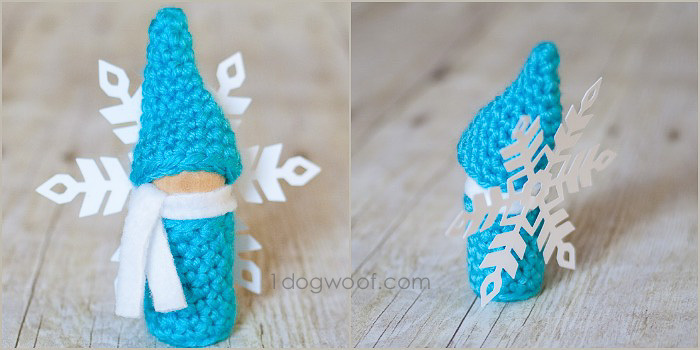 Winter fairy gnome cork peg doll ornament! 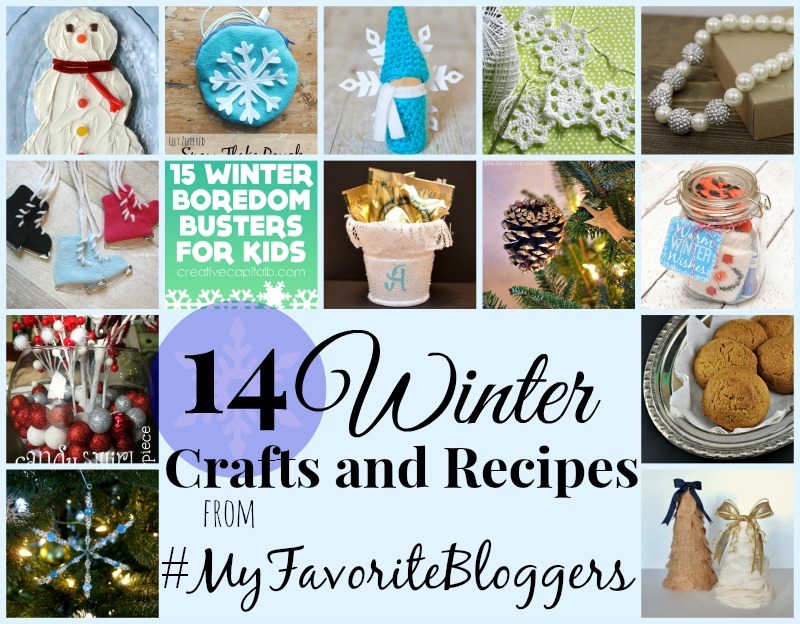 Here are the lovely ladies participating this month in our WINTER theme roundup. And here are their equally lovely projects. Go visit and get inspired! 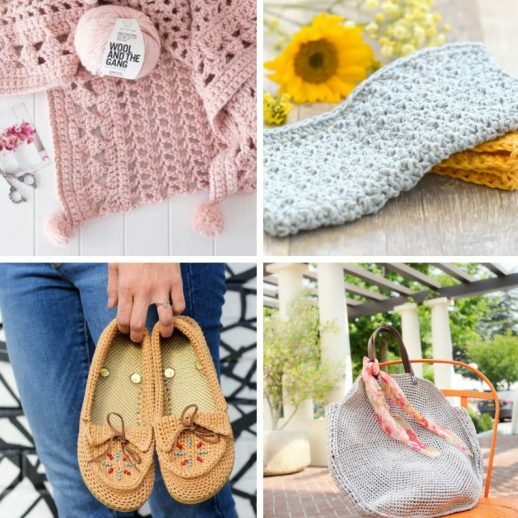 In case you liked (loved) my little gnome, here are a few other fun patterns that use up those scrap yarn bits in your stash! You are on a roll with the Christmas posts!!! 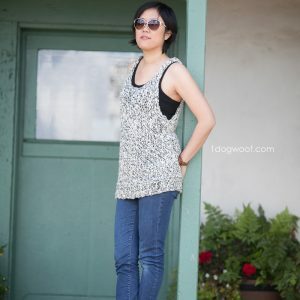 I have been making lots but sure have not been taking the time to blog about any of it. 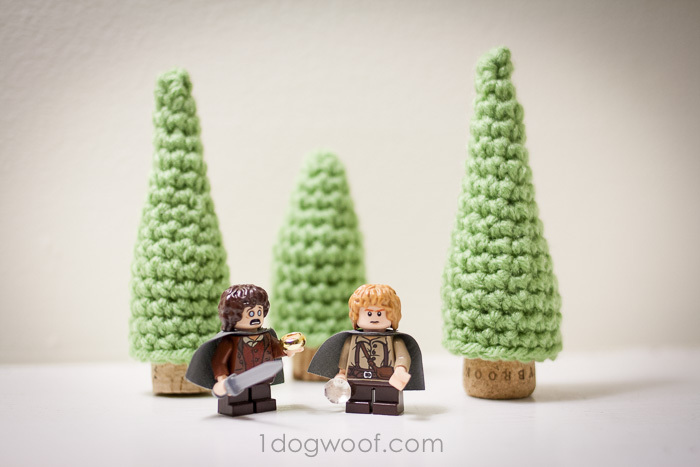 I have made a whole bunch of your trees…. can’t wait to share! And these guys are seriously adorable…..
Haha, I’m done, I promise! I’m looking forward to some time off in the next week or so 🙂 Can’t wait to see your trees! I only made my 3, but a forest would be so cool to see! These are adorable. I LOVE them! I can’t decide if I like them better with eyes or without… so cute! Pinned! Me neither! I like the eyes, but I also like how the non-eyed one is a bit more abstract, in a weird modern way. Thanks for the pin Tara! Oh my. These are simply DARLING! I want to eat them! (Is that strange?) And random aside, I totally get suckered into that “impulse Christmas buys section” at Target, too…e-v-e-r-y-t-i-m-e. And of course, they have to place it right at the front, so you don’t even have the option to avoid it. It’s there and boasting amazing deals on stuff you probably don’t need but could find a use for. But your little snowflake embellishments look fantastic. 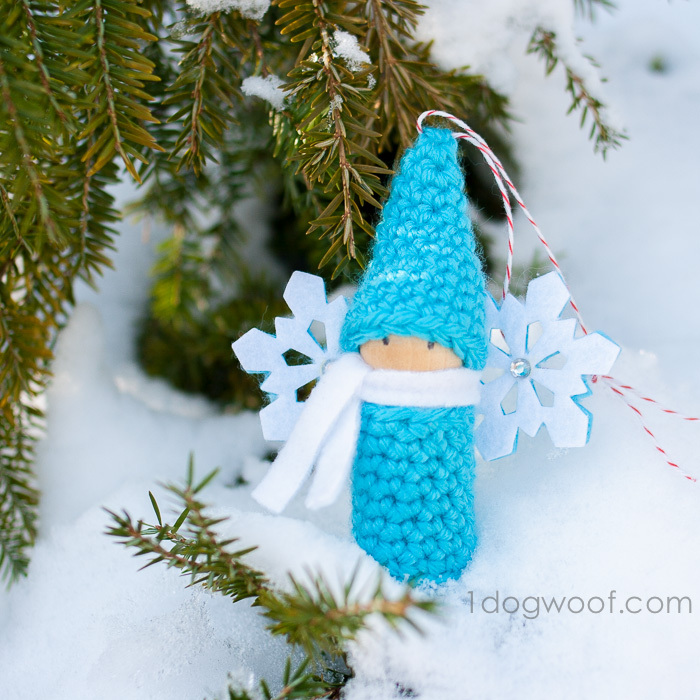 And the photo shoot you did with these winter gnomes is so fun – – so fitting. It actually really makes me miss the snowy north! (Don’t feel too bad for me. We’ll be in NY over New Year’s! Yippee!) Okay, now to pin these puppies! Would these look great as cookies so you really could eat them? Hmmm…future blog post? So sad I’ll be missing you over New Year’s, but you’ll get plenty of snow for your trip! Thanks for the pin too! Eek! I can’t bare how cute these are! 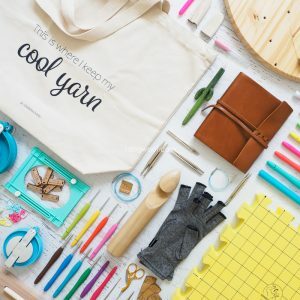 Just loving your Christmas projects! 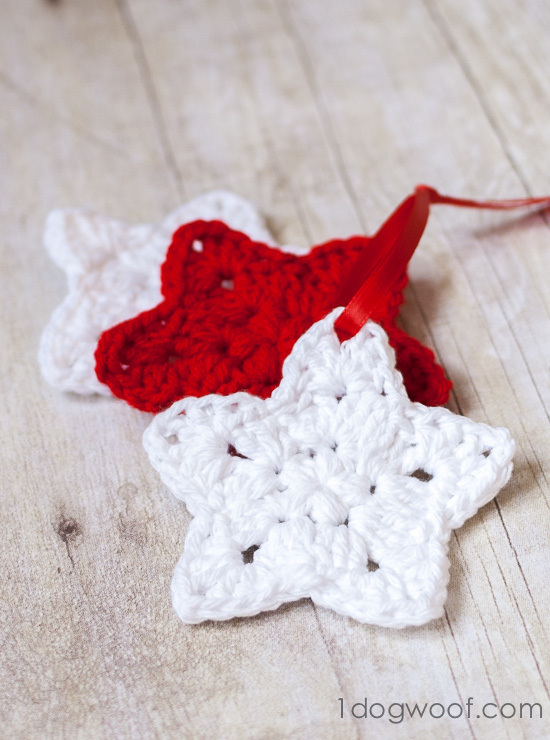 Already made a garland with the stars and I think I need to move on to these little chaps tonight. Thanks so much again for sharing. Wow, thanks Ann! I didn’t really plan on all these Christmas projects, but inspiration struck, I guess 🙂 I’m glad to hear your enjoying the patterns! Merry Christmas! These are just so super cute! 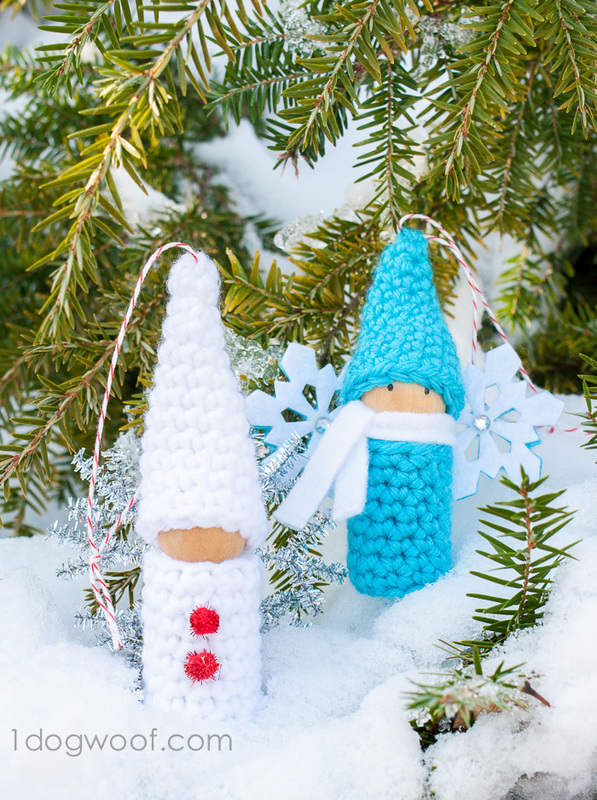 These are THE cutest little gnomes EVER! I love the colors you used, their little hats, and the rhinestones! Amazing! 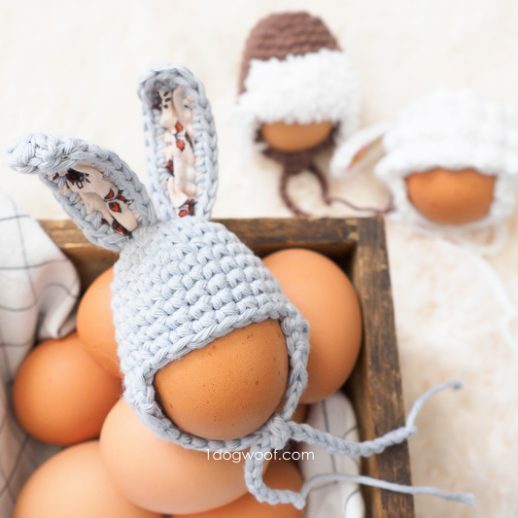 These are just adorable – I have already made 6 of them!!! I have co-workers saving their corks for me. Would you mind if I used the pattern to make these sweet ornaments to sell at my church fair in the fall? Thanks so much! For those of us who don’t drink wine, there are Styrofoam sticks you can get very cheaply. 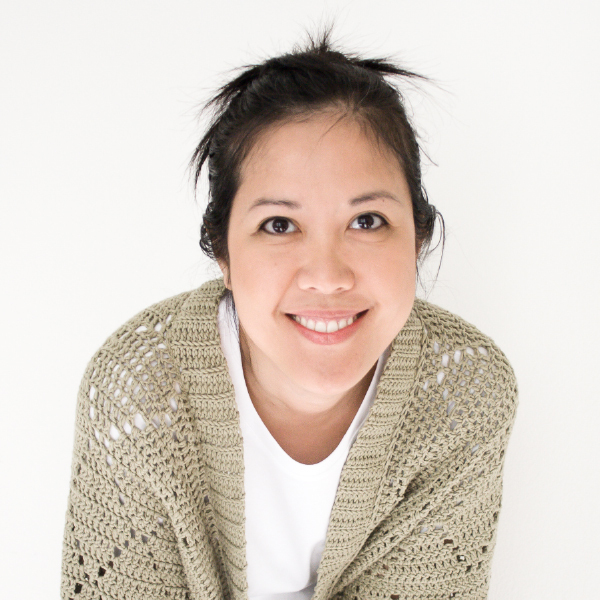 Just cut to the length you want and some family ideas might come to light… Mom, Pop and kids too! Or for those handy with a saw, wooden dowels. You can have short fat gnomes, and tall skinny ones, even make a group of odd sizes singing carols Have fun! Thank You ChiWei for this cute idea! Corks were deeply discounted one day at Michael’s and I bought 2 packages on a whim. This is the best cork project I have seem! I can’ t wait to get started!! Thanks for sharing this! I stuff the cork right to the bottom. But yes, some corks are different lengths, so you can adjust the number of rounds to make the body shorter if you need to. 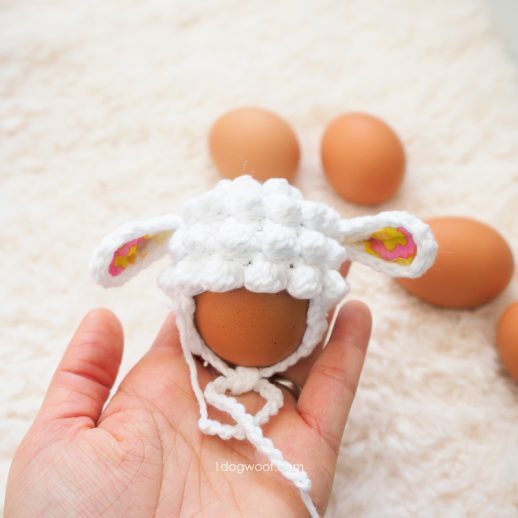 These are just fascinating and adorable projects. There were so many cute ideas, I couldn’t try them all this Christmas. Planning ahead though. Thx for sharing.